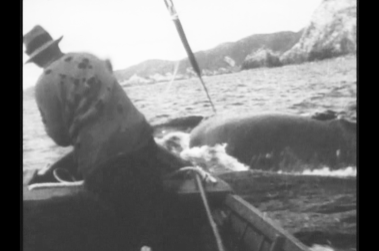 This two-part guest blog from Russell-based local historian Lindsay Alexander tells the incredible tale of a 1930s documentary filmmaking venture: Hollywood movie-man Stacy R Woodard’s mission to find 74 year old Herbert ‘Bertie’ Cook (legendary Bay Of Islands whaler), build a replica American-style whaleboat and go harpoon whales the old way. Ngā Taonga Sound & Vision is very pleased to be able to share Lindsay’s essay with you. We hope you enjoy it as much as we do! On December 12 1933 Stacy R Woodard, “of Hollywood”, and his wife Margaret boarded the steamer Niagara at Auckland bound for Los Angeles via Honolulu. With him was a priceless Bay of Islands legacy. Stacy had arrived in New Zealand some four months previously. He had a mission to “depict whaling in the olden days … to resurrect and to preserve for all time a record of those old methods…the risks to life and limb were many and various”. The place to do this was Whangamumu. Though the whaling station had recently closed in 1931, Stacy knew that “one of the last whalers of the old school… ‘Bertie’ [Herbert] Cook” was still living in Russell. Herbert Cook had “over 50 years’ experience of whaling in all its phases and in many seas”. He was from a Bay of Island’s whaling dynasty. His grandfather, father, uncles and brothers had all been whalers. Born in 1859, he had cut his teeth on whales while growing up in the Bay of Islands and then honed his skills when he joined the American whaling barque Alaska of New Bedford on the 29th September 1879, at the age of 20. He was on a “170th lay for the balance of the voyage”. This was a very small share of the profits indeed. Captain Fisher had anchored the Alaska off the old whaling port of Russell, both to refit and provision; and ‘refresh’ his crew. When the Alaska reached New Bedford in May 1880, at end of her voyage, Herbert was described as “[from] New Zealand, twenty years old, 5 foot 10 inches, Boatsteerer”, i.e. harpooner, and, as such, had risen rapidly through the ranks, increasing his earnings as he did so. Herbert was aboard when the Alaska left New Bedford on her next whaling voyage in September 1880. He was now most likely one of the mates, the most experienced of the whalemen on this crack American whaler. Eventually when she returned to Russell, Herbert left the Alaska in the mid 1880’s. 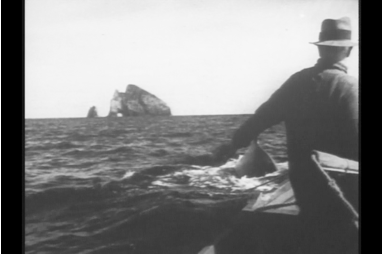 Herbert Cook in the whaleboat off Piercy Island / Motukokako. He is signalling the helmsman onto the whale, getting ready to lance it. The whale is attached by the harpoon to the whaleboat. Note the lance in Cook’s right hand. Photo: Stacy Woodard 1933. After arriving at Russell Herbert was back whaling again alongside his brother George Howe Cook, as one of the founders of the Whangamumu whaling station, run under the business name of “Cook Brothers”. The Cooks hunted the humpback whales which passed the Bay of Islands on their yearly migration to and from the tropics. Herbert was instrumental in developing the famous Whangamumu nets. Humpback whales, the quarry hunted out of Whangamumu, were fast swimmers and generally too fast for the oar-driven whaleboats to catch up to. These old whaleboats were 30 foot long, double-ended, and rowed by five oarsmen. As George Cook said, regarding hunting the quick humpbacks; “the utter futility of the old style whaling was fully realised…the rowing boat for whaling purposes was clearly out of date”. To even the odds a net was set across a channel frequented by the whales. This net was designed not to capture a whale, no net could hold a 70 ton behemoth, but to break off from the net line and by wrapping around the whale slow it down enough for a whaleboat, always ready while the net was set, to catch up, harpoon, and eventually lance and kill it. These nets proved surprisingly successful and enabled Whangamumu, using the simple old methods, to remain a profitable business into the early part of the twentieth century. Then with added finance, the whaling station transformed itself into a small modern industrial complex complete with a steamship whaler, the Hananui. This was equipped with a large gun on the bow that shot an explosive harpoon. The shore-based factory had a steam digester and the entire whale was processed into commercial products, including fertiliser. With this new technology the old oar-driven whaleboats had become obsolete. As Herbert Cook had been a part of this radical transformation of the Bay of Islands whaling industry he had the unique perspective of having experienced both the old style open boat whaling and the ‘modern’ Twentieth Century industry. Like many whalemen of old, Herbert had many exciting adventures. Once, off Whangamumu, he had been dragged from the whaleboat by the whale-line wrapping around his leg. Extricating himself from the line, he climbed back into the boat and proceeded with the task of lancing and killing the whale. It was said he walked with a limp for some time after this episode. These old whalers were nothing if not tough! When Stacy Woodard contacted Herbert, having been referred to him as being the most experienced man in New Zealand in the whaling trade, he was 74 years old. Herbert appears to have been as keen as mustard to Stacy’s outrageous proposal – to build a replica American-style whaleboat and go harpoon whales the old way. The lance being thrown from a whaleboat. Note how close the whale is, and the trajectory of the lance. Also the whaleline, attached to the harpoon, leading over the starboard bow. The lance was repeatedly thrown into the whale. These are unique whaling photos. Photo: Stacy Woodard 1933. The whaleboat was duly built ‘to the order of H. F. Cook’ in Auckland by W.G Lowe and Son. The boat was said to have a centreboard and cutter rig, though there is no centrecase nor mast tabernacle in the available images. Stacy Woodard, with his wife, was in New Zealand at this time and came down to Auckland from Russell for the whaleboat launching in late September 1933. It was then shipped to the Bay of Islands ‘by the Waka’ the Northern Steamship Company’s coaster servicing the north. The boat meeting Herbert’s approval, they went a-whaling. The crew for the whaleboat were most likely local men from Rawhiti, a small settlement very close to Whangamumu. Most of these men would have worked at the whaling station prior to its closure two years previously. While not having the small open whaleboat experience of Herbert, they were certainly competent whalemen. 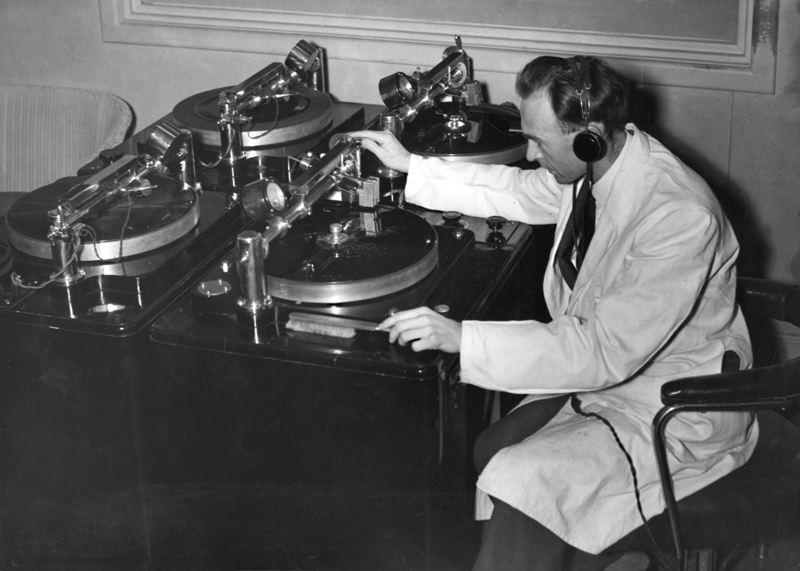 Woodard was described as “a cinematographic expert who specialises in animal life”. This was no idle boast as he, along with his brother Horace, was to win an Oscar in Hollywood two years later, in 1935, with their short film City of Wax and another commendation with their film Beneath the Sea (1936). Stacy Woodard was motion picture royalty. And he was here, in New Zealand, taking moving pictures in our place. 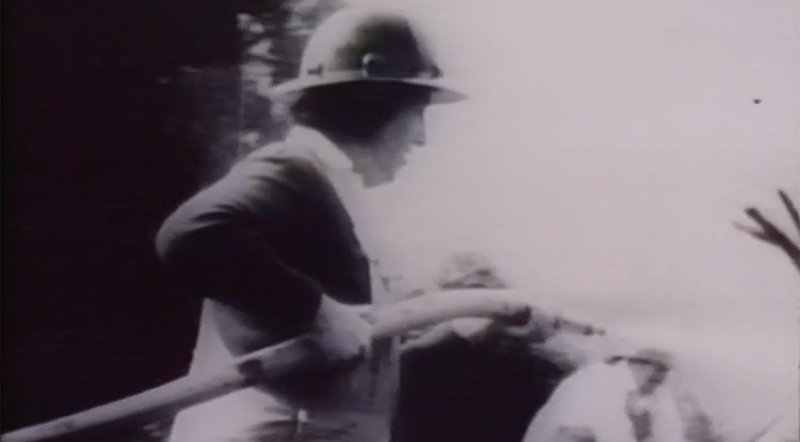 Filming began in October 1933. This was the peak of the southward migration of the humpback whales migrating from the tropics to the sub Antarctic. Much time was lost “owing to the difficulty of getting the desired combination of conditions – good weather and the presence of whales. By persistent effort, however, and in spite of whales being scarcer than Captain Cook has ever known them at this season…five whales were actually made fast to [harpooned] – besides numerous others seen but not harpooned”. Of the five whales harpooned, three were killed. Herbert’s whaleman brother, George Howe Cook, mentions, a little cryptically, how his brother very nearly came to grief at this time. He was referring to “the most exciting incident of all, which might easily have ended in disaster, was when a large whale which had been harpooned from the whaling boat came up directly beneath the camera launch, causing the propeller to become fouled with the harpoon line close to the whale. Had the whale been a little further away to give it striking distance, the probability is it would have reduced the launch to matchwood. As it was it rushed ahead at great speed, drawing the camera launch stern first onto its back, followed by the whale boat also in tow. After much difficult manoeuvring, the line from the whale to the propeller was got hold of and then severed. The whale of course was lost, but there were no regrets – only great relief”. The camera launch on the whale’s back. The poor quality is because the photo was copied from a newspaper article. Photo: Auckland Star 27 December 1933. Woodard took thousands of feet of film covering “every angle of whaling of old, the sighting, pursuit, harpooning, following, lancing and cutting up. Never before have pictures been taken from the actual whaleboat being towed by the whale…for Mr Woodard and camera became passengers so that real close up pictures could be had of the entire process …The film secured may be said to cover every angle of whaling. Generally the camera was in the special camera launch, which however, time and again approached as close as possible to the whales: several times their spout soaking the lenses and camera. All parties considered it fortunate that no accidents occurred throughout the expedition”. Film: I Conquer The Sea (1936). Production: Academy Pictures Corporation. Director: Victor Halperin. Kay Boese, Tides of History, Bay of Islands County Council, 1977, p.377. Auckland Star, 27 December, 1933, p.5. Whaling Crew List Database, New Bedford Whaling Museum. The Waka was an ‘up to date and efficient motor vessel…with a carrying capacity of 350 tons and a 7 foot draught; was fitted with twin 304b bhp British made Gardiner engines and a seagoing average speed of 9 ½ knots’, Auckland Star, 23 May 1930, p.5. The development of roads in northern New Zealand meant that profound changes were taking place in coastal shipping during the 1920’s and 1930’s. Ships were being taken off services, or downsized, as freight rather than passengers became the main commodity. J.O’C. Ross, “Twentieth Century Whaling Operations at Whangamumu and Campbell Island”, Turnbull Library Record, vol.10, no.1, May 1977, p.13.